Sony has finally pulled the tape Walkman from retail stores in Japan, 31 years after revolutionising the music industry with its portable sound system. With little fanfare or official announcements, Sony Walkman's home page now carries a short note saying production finished. So as we nostalgically recall happy memories of growing up in the early 1980s – an era defined by Walkmans, leg-warmers and massive roller-boots with big chunky rubber brakes on the front – it is time to celebrate one of Sony's most iconic pieces of consumer tech. The Sony Walkman appeared back in July 1979, ushering in the modern era of portable music on the move. It is difficult to imagine a time when leaving the house actually meant leaving your music behind, sitting in the shelves underneath your hi-fi in the shape of massive vinyl LPs and 12-inch singles. Yet while the Apple iPod currently dominates the portable music market, Sony's iconic Walkman brand still lives on, and is proving to be particularly popular amongst audiophiles – those strange hi-fi-loving beasts that value audio-quality above and beyond convenience and gadgetry. 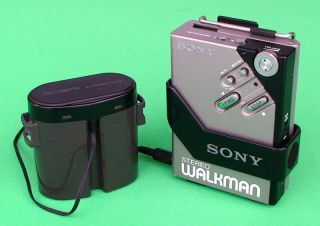 Sony has sold over 220 million Walkmans over the products lifetime to date. Sony will still sell tape Walkmans in developing countries and emerging markets in in Asia and the Middle East.